Thank you to IPBA for sending me this book via Netgalley in exchange for an honest review. A chance encounter throws together Alex, a restless dreamer and unhappy lawyer searching for love, and Julia, a headstrong actress determined to succeed. In both lives, Alex's troubled past threatens true love and a happy life. Can he overcome his greatest fears and win Julia's heart? Or will he loose her forever? One moment. Two lives. One decision. 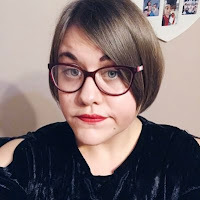 I won't hide the fact that I am a hopeless romantic at heart, I love anything to do with love and romance and I am a big lover of romance novels and Chick Lit. So it's not surprise that I jumped at the chance to read this novel - Unforgettable. The title just drew me in along with the gorgeous cover art and just from that I had a feeling that this novel was perfect for me. However, I was certainly wrong. Unforgettable follows the love affair of Alex, an unhappy soon to be made redundant lawyer, and Julia, a determined actress who longs to succeed, after a chance meeting at a London bus stop. We, as the reader witness the highs and lows of this fast moving, intense relationship. However, there is a catch; the book is split into two parts - Alex's life with Julia and Alex's life if he'd never pursued her. There was no indication to this at the start, and I found myself becoming rather confused, until around the middle of the story when it finally caught on to me. I could see myself not being the only person to become quite baffled at this whilst reading. Usually, when reading a romance I immediately get pulled into the love story between the two protagonists. Unfortunately, this was not the case with Unforgettable. I found the romance to be pretty two dimensional and I felt like things were rushed to a certain degree - for example when Alex moved into Julia's after being made homeless after only being with her for a few weeks. I also found both Alex and Julia's characters to be slightly dull. I did feel sorry for Alex to a certain degree - he'd been made redundant and he blamed himself for his mother's death, but I felt like (certainly in the without Julia parts) he was using that to get out of doing things. I found that with Julia we never really found much out about her, and if we had have done I probably would have found her to be a pretty interesting character overall. The only character that really stood out to me was Richard, Alex's best friend. He had me laughing in every single scene he was in and I loved reading about him trying to win over Ciara, the barmaid in his local. I would love for a book to be written just about him if I'm honest. 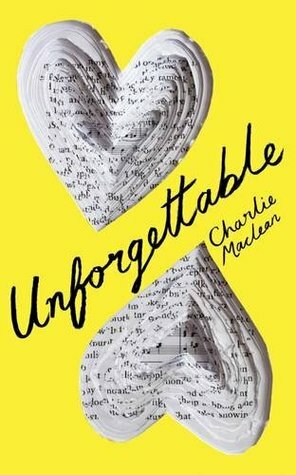 Overall, Unforgettable was a rather disappointing read. The concept and the characters could have been better developed and maybe if that had happened it would've held my interest. If you love romance novels, you may like this, but for me it just didn't have that wow factor I am looking for in the romantic genre.